Hotel Aloni Hotel is built amphitheatrically, according to the Cycladic characteristics and architectural style and is situated close the beautiful sandy beach of Piso Livadi, Paros. 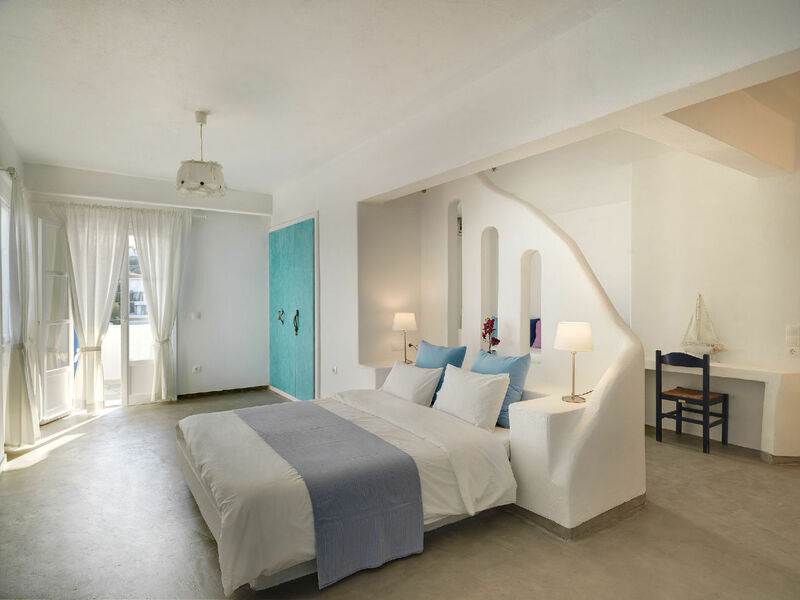 Reflecting the natural colors of the landscape, the rooms are tastefully decorated in shades of white and blue, designed to evoke the seascape and create a feeling of absolute calm. The hotel's fine leisure facilities its stunning sandy beach that is lined with trees, its quaint fishing port and its well-developed tourist infrastructure. Aloni Paros is a three star hotel *** and is open from 10th of May until 15th of October. The scenic village of Piso Livadi is well-known for its beautiful sandy beach - which is lined with lush trees and traditional tavernas and cafés -, its charming fishing port, and its magical view of the endless Aegean Sea. It is the ideal getaway for visitors that are looking for a quiet place to relax and unwind. If you are looking for a destination that resembles a picture postcard image of a Cycladic island, Paros is the perfect place! With dazzling beaches, crystal-clear waters, quaint whitewashed houses and churches, wonderful sites, and posh visitors, the island attracts people from all over the world and from all walks of life. In other words, Paros Island is the ideal holiday spot for everyone! Check our Special Offers and BOOK NOW! At the Aloni Hotel in Paros, we strive to offer our guests the most comfortable and relaxing accommodation on the island, by providing high-quality amenities and facilities. 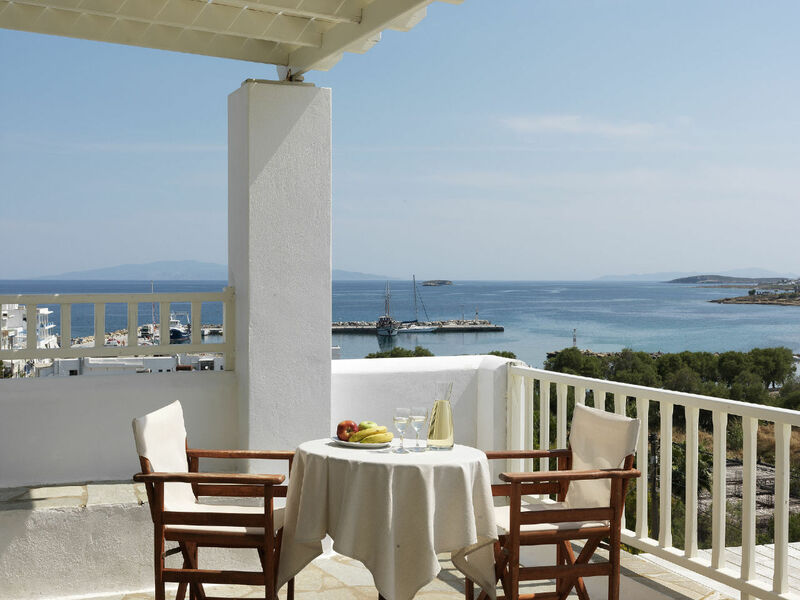 See our Photos and prepare yourselves for an unforgettable stay in Hotel Aloni Paros! The communal facilities at the Aloni Hotel in Paros are carefully designed to ensure that its guests are offered an enjoyable and carefree stay.